Winner:2011 Gelet Burgess Children's Book Award, Growing Up2010 National Health Information Award, Silver2010 Mom's Choice Award, Gold, Children's Picture Books - Growing Up/Personal Growth2009 Association Trends All-Media Contest, BronzeFinalist:2010 National Indie Excellence Award, Children's Nonfiction2009 USA Best Books AwardThis comforting book walks young children of cancer patients through the range of emotions they're likely to encounter and provides a message of hope. A young boy uses color to express a range of emotions as his mother undergoes cancer treatment. Some days he's sad, some days he's happy, and other days he's scared or angry. The boy comes to realize that these ups and downs are perfectly normal for his situation, and he does not have to feel guilty about his feelings. 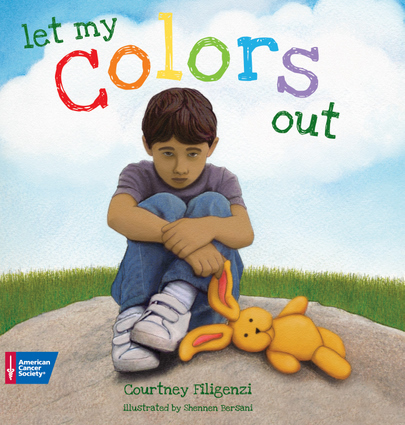 Courtney Filigenzi is a children’s book author. Shennen Bersani is a member of the Society of Children's Book Writers and Illustrators.